1. Slowly remove and lift product straight up from the carton. 2. 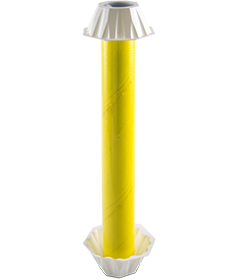 Handle product by top and bottom plastic inserts. DO NOT touch sticky-coated cylinder. 3. Hang using attached plastic hook. 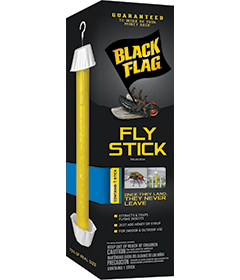 For best results, hang vertically with all sides of the stick exposed, near the center of the area where you wish to control flying insect problems. Add 1 tsp of honey or syrup to the bottom plastic cup. Replace every three months or when stick is full of flying insects. When stick is full of insects, remove and wrap in newspaper and dispose of in trash.